Treat yourself to huge savings with Artifact Uprising Coupons: 9 promo codes, and 8 deals for April 2019. Still Searching Codes in Artifact Uprising? Get the best Artifact Uprising coupons ! Artifact Uprising offers design-your-own photo products and photo goods that they find are the bee's knees - and hope you do too. Artifact Uprising's interior printed book pages are made from 100% post-consumer waste recycled paper and they think that's pretty cool for mama earth. Artifact Uprising's collection of photo goods includes: hardcover photo books, softcover photo books, photo books with instagram-friendly designs, wooden calendars. These products are chosen from a variety of fabrics and dust jacket covers, including the new-to-industry partial dust jacket cover. How to save more at Artifact Uprising? Take advantage of free gifts when ordering online on Artifact Uprising website. It could make gift giving easier as you will have more to make the perfect presents. How to use a Artifact Uprising Special Offer? When you have found a Artifact Uprising coupon code in Hotedeals.com, simply follow the next steps, you can get the things you want with extra savings. 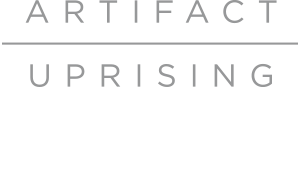 Visit Artifact Uprising, browse the product categories and pick up your favorites into the shopping bag. Click into the shopping bag and claim the order. Most importantly, find a box in this page named 'Discount Code' or 'Promo Code' or 'Coupon Code'. Put your code into that box and claim it. Finish your checkout and take your goodies back home with money off! Q:Does Artifact Uprising OFFER BULK DISCOUNTS? A:Yes, of course. Orders of 10+ of the SAME project ordered at the same time, Artifact Uprising can offer 20% off. A:Shipping charges can vary due to location so the most accurate way to determine shipping is to generate a quote, The best way to do this is to phantom populate your shopping cart with what you want to order so it can calculate the size, weight, quantity, etc. Next, go to your cart and enter your zip code into the "estimate shipping" bar and a selection of shipping options will generate. Q:HOW MUCH DOES A SAMPLE PACK COST? Today when the world is moving towards a paperless community, Artifact Uprising is providing an opportunity to leave behind beautiful stories as legacies for the future generation in environmentally responsible papers. Artifact Uprising offers a wide range of products that will help tell your story and share it with others. These are photo books, cards, printed wall art that is tangible for the future generation. Your creativity and stores clicked on your digital camera can be transformed into works of art. You can make photo books, calendars, wall art etc. and showcase your talent. You can print your own story in wonderful recycled papers that will not leave a negative impact on the mother earth. Artifact Uprising uses papers for prints that are recycled to help with wind energy. You can also use your photo products as gifts. You can also customize it with the easy-to-use online designer at Artifact Uprising. Save More at Artifact Uprising? How to use a Artifact Uprising Coupon Code? Get the top coupons from Artifact Uprising !